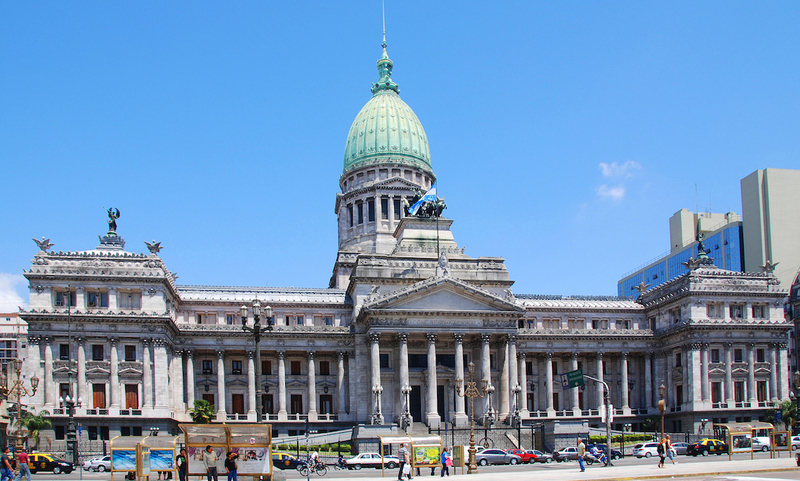 Argentina: What Are the Requirements For Upgrade to Emerging Markets Status? Home Global Equity Argentina: What Are the Requirements For Upgrade to Emerging Markets Status? BUENOS AIRES ARGENTINA Nov. 29:Congressional Plaza the Argentine Congress in Buenos Aires Argentina on 11 29 2011 The Congress of the Argentine Nation the legislative branch of the government. For a significant period of time, Argentina was unable to borrow from international markets because of dispute with investors. The country had defaulted on its debt obligations in 2001 followed by 2014 as it did not adhere to court orders directing the country to repay its bond holders. 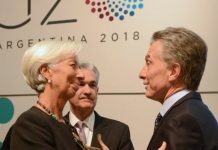 To resolve the deadlock and gain back access to international markets, Argentina decided to pay $4.65 billion in cash to Elliott Management, Bracebridge Capital, and others in March 2016. Following this, the country raised $19 billion in foreign debt in 2016, issuing bonds after a 15 year gap. It plans to raise another $10 billion this year. Inflow of foreign money shows that international investors are responding to reforms undertaken by the country. While this is a positive sign, potential investors should take into account the macroeconomic picture of the country as well. Inflation continues to be a worry for the country with consumer prices having risen 40% annually in 2016. The country’s central bank left its key rate unchanged at 24.75% on March 7 citing volatility in inflation rates. The bank also noted that economists’ median expectations for inflation stood at 20.8% for 2017, much higher than its target range of 12-17%. 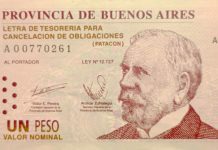 Given that the country is still looking for economic growth, high levels of inflation can put pressure on the Argentine peso, which will be considered a further sign of economic weakness. 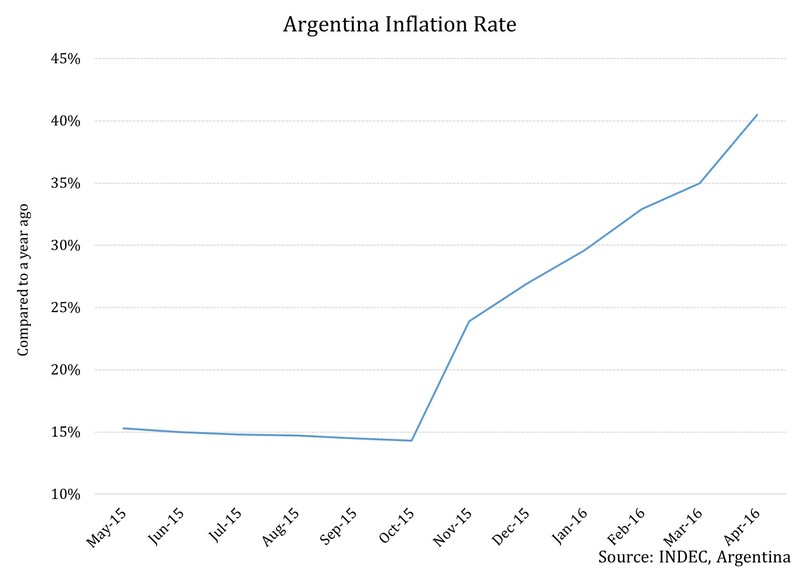 Inflation data in the graph above is dated as Argentina’s statistics agency has been asked to revamp data collection methods. The central bank expects disinflation to start having an impact from March, so investors should watch out for that. MSCI, which will review Argentina’s status as a frontier market in June 2017 and will consider it for an upgrade to emerging market status, requires at least 3 companies to have a market value of at least $1.26 billion. For a frontier market, the requirement is to have 2 companies with market value of at least $630 million. Among other criteria, an emerging market needs to have ‘significant’ ease of to and fro capital flows. Bloomberg reported that a study by Itau BBA shows that Argentine companies YPF SA (YPF), Banco Macro SA (BMA) and Grupo Financiero Galicia SA (GGAL) already meet the aforementioned market value criteria. The country has done away with capital controls. And even though its macroeconomic picture is far from rosy, MSCI does not take into account economic development sustainability criteria for emerging and frontier markets. These factors all bode well for Argentina’s chances for being classified as an emerging market later this year. If you want to take exposure to Argentine equities, the Global X MSCI Argentina ETF (ARGT) is one of the most popular vehicle. Though BlackRock has filed for the iShares MSCI Argentina Global Exposure ETF, it is not available yet. With Argentina opening up its borders to foreign investments, an upgrade in status could be just around the corner.